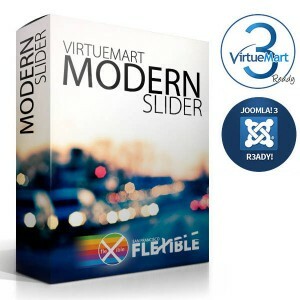 Flexible – Virtuemart Modern Slider has been updated! We are so proud to announce that; Flexible – Virtuemart Modern Product Slider is updated and now it is fully compatible with Virtuemart 3.0 and Joomla 3.x. Virtuemart – Modern Slider lets you to show products by category tabs. Light-weighted, powered by CSS animations. It includes lots of user-friendly backend parameters for customizations. We are always here to help you! Check our Forum and see how fast and efficient we are, in terms of “helping”. If any particular products is Sale, Featured, Sold Out or New.. the small icon will appear to grab more attention to that specific products. If you don’t want to show them, you are allowed to deactivate each icons individually through module parameters.